If you want to improve the overall health of your brain and enhance its functionality, using a nootropic is a safe option to consider. Although many people are unfamiliar with nootropics, there is a relatively large group of individuals who are currently using them. While some people use them occasionally, there are others who take daily doses to enhance their lifestyle. Whether it is for a boost while studying, assistance with a job, or just general enhancement of their lifestyle, nootropics have a large following. If you are new to the subject of nootropics, you may be wondering what exactly they are. Nootropics are drugs or supplements that are able to enhance cognitive functions such as memory, reasoning, focus, and even motivation. There are many types, and some can be combines so their effects can be enhanced. When they are mixed, they form a nootropic stack. Maybe you are more familiar with the term “smart drugs” than nootropics. They are quite similar and, as a matter of fact, there are some who classify smart drugs as a type of nootropic. So who is using these substances? Well, there are quite a few different types of people using them. Whatever the case, students are among the largest group of people who use nootropics and understandably so. They need a lot of brain function if they intend to master their studies especially if they are not very fast learners or they have trouble retaining information. Is this a fair practice? That is up for ethical debate. As difficult as it is to acquire money for a start-up company, it is just as difficult to keep that company afloat. Decisions have to be made on a daily basis, and there are often a lot of factors that will impact those decisions. To assist with their business skills, there are a lot of entrepreneurs and other businesspersons who are now turning to nootropics so they can get ahead and stay ahead of their competitors. In a globally competitive world, it is becoming increasingly difficult for new companies and even established companies to remain in business and be on top. To increase creativity and enhance their thinking skills, nootropics are becoming a very popular choice for these entrepreneurs. Some nootropics are drugs and must be prescribed by a doctor. This means that they will most certainly be used by patients with illnesses that could be positively affected by using these substances. Nootropics have been known to be used by people who have been diagnosed with ADHD, Parkinson’s disease, Huntington’s disease, and Alzheimer’s disease. If you know the benefits of the nootropics, you can understand why these patients would be at an advantage by using them. Whether it is to lengthen attention span through focus, to assist with memory, or just to enhance the overall health of the brain, these patients would certainly see some benefit in using these drugs. Silicon Valley is the name given to the southern part of the San Francisco Bay Area in Northern California. In Silicon Valley, there are several high-tech corporations and many young companies that are called start-up companies. A lot of the companies there have had a great impact on the world, whether through discovery of new products or their high-tech research findings. As expected, the competition among employees and companies in this area is very high. In order to be competitive, you have to exceptional employees or an outstanding company or both. As a result, the use of nootropics in this area is widespread. Employees need to have full use of their brain and execute their jobs at their utmost performance. Can you imagine being an entrepreneur and trying to start up a company in this area when there are several other companies already established and doing what you do? It must be a great task to get noticed and bring the company to a level where it will actually begin to be noticed and turn a profit. Many entrepreneurs in this region use nootropics, and they are not alone. 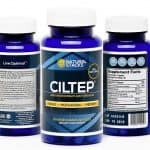 There are a lot of employees in that same region who are avid nootropic users many of whom have now mastered the task of nootropic stacking and can even give quite good advice about what stacks work best based on the results you want to achieve. While some people have their daily dosages worked out very carefully, there are some who only use nootropics occasionally. With enhanced cognitive functions, these individuals are able to achieve much more than they would without these products. This gives them a chance to outshine their colleagues and competitors in Silicon Valley. 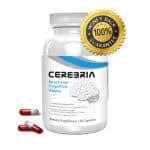 Whether they use natural or synthetic products, whether they practice nootropic stacking or not, they often ensure that they achieve the results they desire by experimenting with different types of nootropics at different dosages. After all, there are no side effects of good nootropics that are harmful to the body and they have an extreme advantage of not being addictive. This means that although someone may use nootropics on a daily basis, they are able to stop suddenly without experiencing withdrawal symptoms or feeling a great urge to use the drug again.